With the ever-accelerating technological advances and growing system complexity, NSA needs System Engineers to integrate systems and reduce the cost to operate and maintain systems. 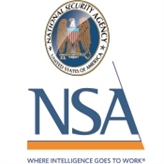 To meet these demands, the NSA hires and trains talented and highly motivated junior systems engineers, electrical engineers, computer scientists, computer engineers, and other related professionals. System Engineers are hired into positions directly supporting a technical mission office or one of two Development Programs (The System Engineer Development Program (SEDP) or the Information Technology Development Program (ITDP)). The SEDP prepares recent college graduates and junior level technical staff for a career in Systems Engineering at NSA. During the three-year program, participants will rotate assignments, attend training that covers the full breadth of systems engineering disciplines, and earn DoD DAWIA and other important credentials. With a professional Engineering degree, entry is with a Bachelor's degree and no experience. With a degree in either (1) Physics or Astronomy from an accredited college or university or (2) a relevant professional technical field (e.g. chemistry, architecture, computer science, mathematics, hydrology, geology), entry is with a Bachelor's degree plus 1 year of relevant experience. Experience in designing engineering systems over their lifecycle (e.g., concept, design, fabrication, test, installation, operation, maintenance, and disposal) is desired. Experience in optimization and modeling is preferred. Relevant experience must be in designing engineering systems over their lifecycle (e.g., concept, design, fabrication, test, installation, operation, maintenance, and disposal). Experience in optimization and modeling is preferred. Pay, Benefits, & Work Schedule On-the job training, Internal NSA courses, and external training will be made available based on the need and experience of the selectee.